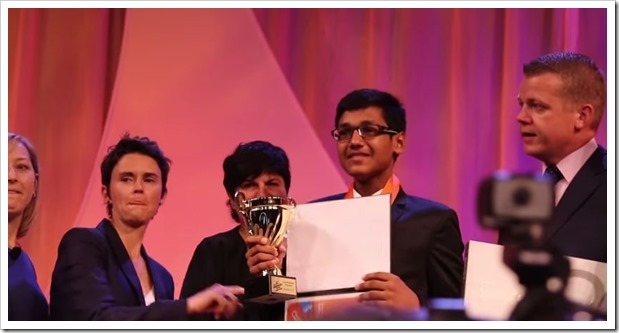 Arjit Kansal, 16 year old teenager from New Delhi has been hailed as Microsoft PowerPoint 2010 World Champion for the year 2014. He was awarded by this title after beating 400,000 competitors from all over the world. The final of this competition was held in Disneyland, USA where he competed against 123 finalists and emerged out as the winner. The Microsoft Office Specialist World Championship, which is into it’s 13th year now, is a contest to judge Microsoft Office experts. Last year, more than 350,000 students from 90 countries participated in this global competition. Besides offering $5000 as prize money for the champion, this contest is well respected and recognized within the academic and corporate world. The competition is conducted by Certiport, the leading test delivery solution provider for the global workforce and academic markets based in USA. Only students who are aged between 13 and 22 years having valid ID proof can join this contest. First of all, all participants are required to clear atleast one Microsoft Office Specialist Course in Word, Excel or PowerPoint for 2007 or 2010 versions. Once this specialist examination is cleared, students are then gauged on several different qualifiers which are online examinations to test the knowledge of the Microsoft Office products. The finalists are then invited to visit USA where they need to take unique “project based” tests to demonstrate their expertise of using PowerPoint to create scintillating presentations. Overall, more than 740,000 examinations were uploaded on their online portal to filter out applicants. Expertise in using Microsoft Office products such as PowerPoint, Word And Excel certainly helps a long way for any professional. By launching such global level competition, the students not only experience these products first-hand but also get prepared for professional challenges which they will face later in their lives. We wish Arjit best of luck for his future endeavors! "Indian Teenager Named World’s Best PowerPoint User By Microsoft", 5 out of 5 based on 1 ratings. Thanks for the post. Do you also a have a link to the winning ppts?